Surely you have heard something about people with lactose intolerance and milk allergy and you asked yourself whether this was not one and the same thing. It should be, right? It sounds like the same thing. So what are you missing and what is the difference between lactose intolerance and milk allergy? Keep reading and you will know for future reference. Lactose intolerance is a condition which does not allow the body to digest lactose properly. This is a type of sugar found in milk and in all other dairy products. The small intestine is supposed to make lactase, an enzyme needed to break down lactose, but in this case it does not make enough of it. In its undigested state, lactose moves through the colon causing symptoms such as gas, bloating and pain. Symptoms usually occur about 30 minutes after consumption of dairy products. This is an uncomfortable condition and one that makes the individual look for alternative sources of calcium. It can also vary in manifestation as some lactose intolerant people can eat and drink dairy products in small amounts without having problems. 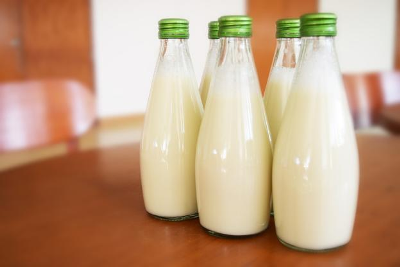 Lactose intolerance can run in the family, can manifest itself in one individual alone or it can occur after surgery or stomach illnesses which can cause the small intestine to stop or reduce the lactase production. Milk allergy is a food allergy, meaning an overreaction of the immune system to a specific type of protein. Cow’s milk protein, in this case, is seen by the body as harmful, and sets off a range of reactions which vary from mild to severe, life threatening anaphylactic shock. People with this condition and severe manifestations must make sure that they always have a shot of epinephrine at hand for extreme situations. Among the milder symptoms we can mention swelling, rashes, hives, itching. The more severe symptoms include wheezing, diarrhea, cramping, trouble breathing, and even loss of consciousness. Many children experience symptoms of milk allergy at early ages, but they eventually outgrow the condition. The people who do not outgrow it, however, must avoid milk products all of their lives. They will have to read the labels of most products to make sure they do not contain milk. So what is the difference between lactose intolerance and milk allergy? Lactose intolerance is a result of the body not producing an enzyme and of the milk not being properly digested. Its symptoms are mainly uncomfortable and located in the stomach. They usually pass once the content of the undigested sugar is out of the intestine. Milk allergy, on the other hand, implies more severe reactions. It is a manifestation of the immune system and in extreme cases medical intervention and shots are required to save a person’s life. A person can be born with either condition, although milk allergy is usually outgrown. Also, people whose intestines have suffered any form of shock, like a disease or surgery, can have episodes of lactose intolerance, which pass once the small intestine recovers its function. In both cases avoiding milk and milk products is highly recommended.